Give an unforgettable moment to your guest when they come to your house. Being an Indian, it’s our moral duty to make our guest feel special and give them the pleasant experience when they come to your house. 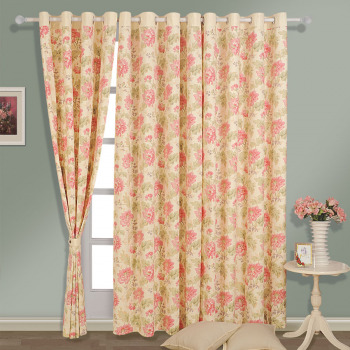 So, the curtains which are giving you are nothing more than a boon for the décor of your house. If you are tired of looking at the same home décor then you should stop just feeling bad about it and do something. It does not mean that you have to change all the setting of your room, just bring something that can cover all the sadness and dullness of your house. Escape into the woods and experience the scenic beauty of fallen leaves lying all around you indicating the autumnal phase of nature. 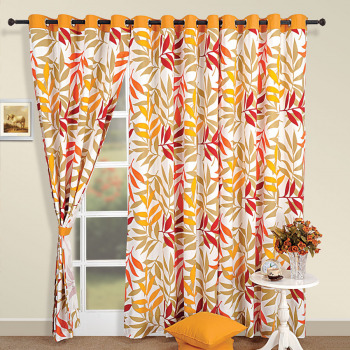 Get pre occupied with the variety of leaves laid beautifully in unidirectional manner on these printed curtains. When all the good aesthetics of modern science and art put together the result produced is astounding. 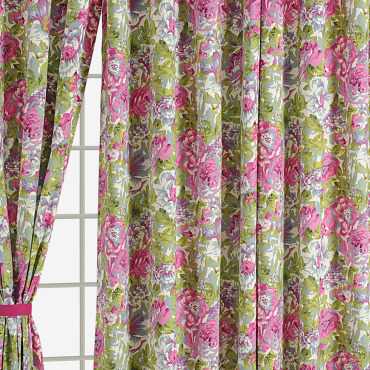 Give a sumptuous surrounding to your family and kids by introducing a valance that will bring cheery atmosphere. 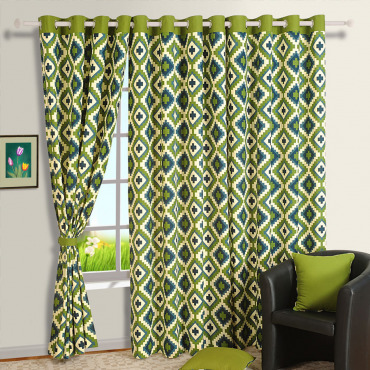 Buy geometric patterns printed curtains from our websiteswayamindia.com and see the impeccable radiance reaching out to you. 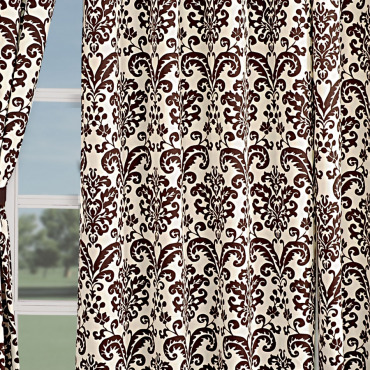 Modify overall look of the windows and doors by draping classy check pattern printed cotton curtains. 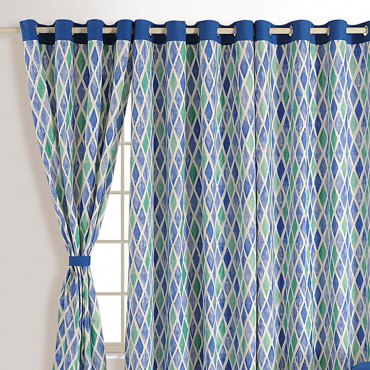 The checks while reflect a uniform, symmetric and rhythmic flair to the linens, the combination of green and blue add colors and life to the printed cotton curtains online from Swayam. 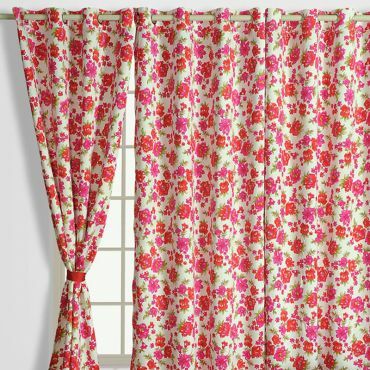 Compliment your home by decorating the windows and doors with vintage floral drapes. 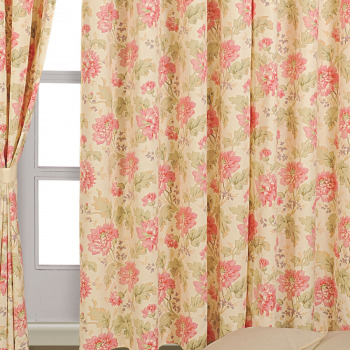 Get this printed curtains online India from swayam and see a perfect blend of elegance and freshness. 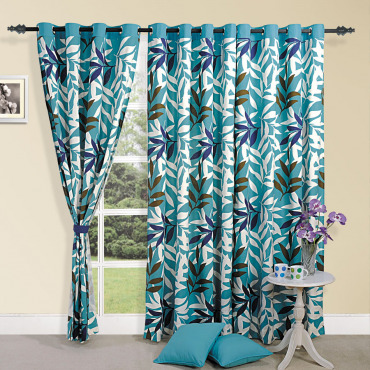 The print is coordinated well with the colors and complimenting the ferns and the blossoming flowers. 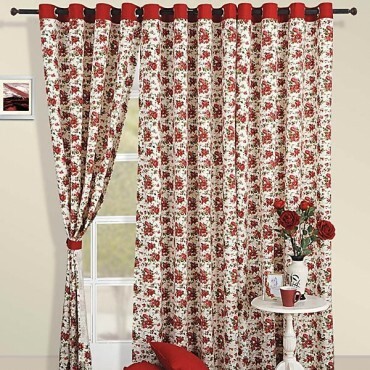 Buy vintage floral printed curtains and give the living space a much needed makeover. 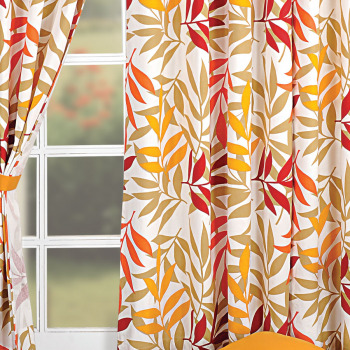 Invoke magic in your home with these captivating prints infused in lush exotic colors. 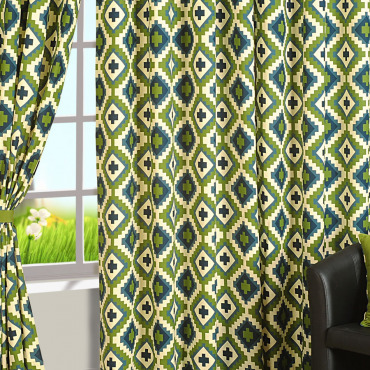 Dress your living room with these curtains and coordinate stylishly with matching cushions and get delighted by the sight. Make your home inviting and exciting as you infuse shades of fresh blue color, which is enchanting and hypnotizing at the same time. 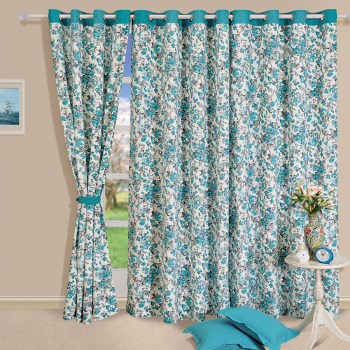 Dress your windows and doors with these amazing bright curtains to add a dab of magic to your home décor. 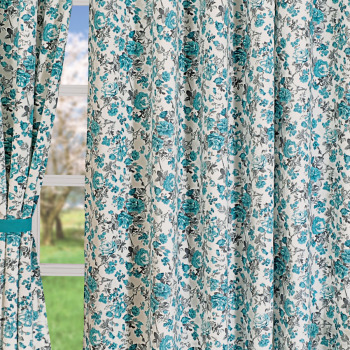 Buy blue rose printed curtains from our online website Swayamindia.com and make an incredible addition to your décor. Welcome a new beginning with the aroma of love in the air which brings freshness and uplifts your spirit. 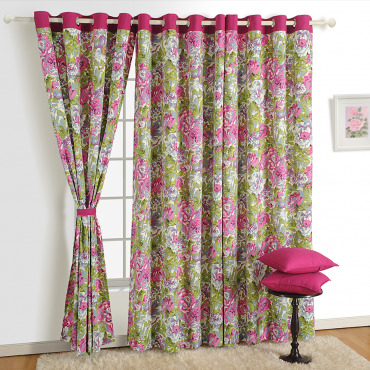 Decorate your doors and windows with these our exotic printed curtains and create a passionate environment fit for blooming romance. 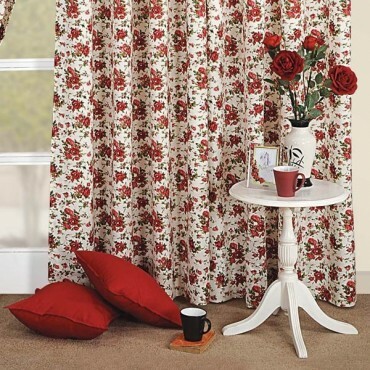 Buy scarlet rose printed curtains from our online website Swayamindia.com and make sure that love is all around. 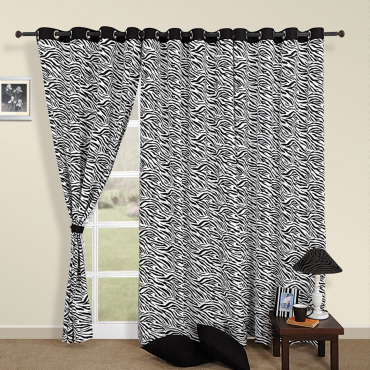 Redefine your decors that will forever the change the way you look at your room setting. Beautify your home décor with motion; capturing design with a topping of dark brown color totally making this presentation delicious for your eyes. 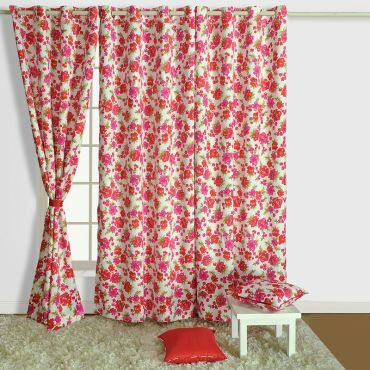 Buy white baroque printed curtains from our online portal Swayamindia.com and bring home flavors of color to add that zing to your boring dull life. Land yourself in a place which welcomes you with sweet brightness, illuminating your room and uplifting your spirit. Surrender yourself in the realms of comfort, peace and life. 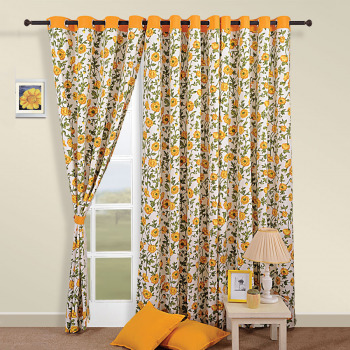 Buy sunrise yellow printed curtains from our online website Swayamindia.com and welcome home a high end lifestyle at a genuine price. Unveil the parched lands of the great savanna and encounter wildlife at its best. 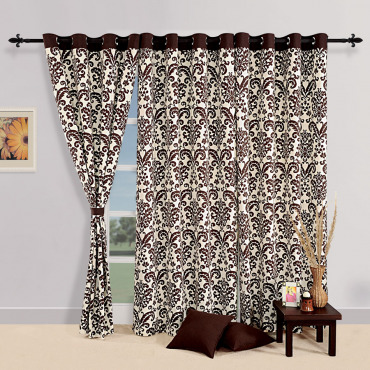 Indulge in the charismatic charm of these wild savanna printed curtains reactivated with a tint of glamour. 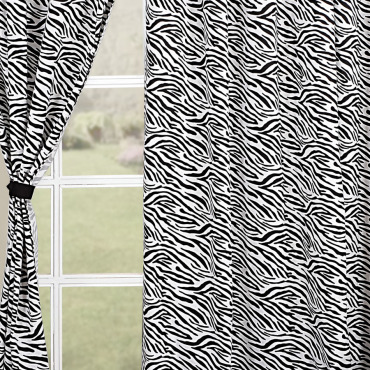 Get engrossed in the exceptionally unique zebra prints printed on these curtains giving it an appealing look. A walk around in the woods if provides you calm then you are welcome to join the natural oasis. The proximity with nature is essential for every human being. But ignoring hustle-bustle of life does not give us enough time. Now you can take a break and experience the taste of luxury with these valences. No beauty is too small to be noticed, every collection of small pleasant things adds up to the beauty of our life. So, why not we start appreciating beauty from our homes? 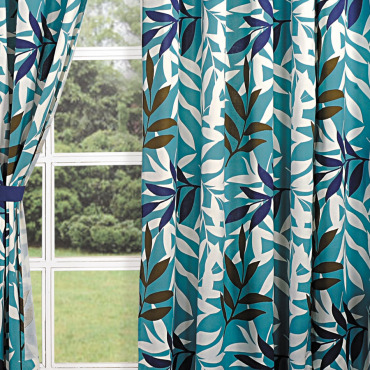 Our collection of printed curtains is fresh and alluring, made to greet you with a fresh start every day. With the intricate flower prints to the exotic animal prints, the geometrical illusions and the grazing leaves, our collection is sure to add to your home an urban touch. 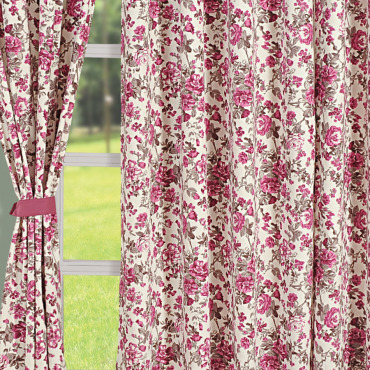 We make every little detail count, hurry and buy printed curtains from our online store Swayam. 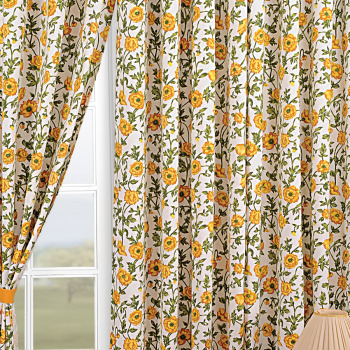 Our printed window curtains online are yes 100% cotton and available with or without linings. 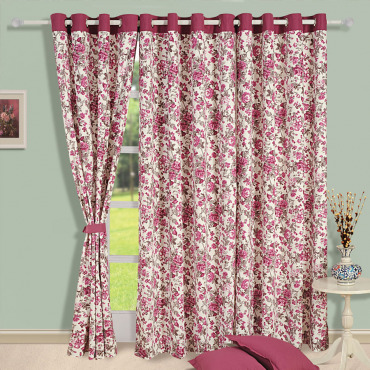 Made to smoothly slide on curtains rods, it will be a smooth maintenance for you too as it is 100% color fast. Now is this not small pleasure in life that is so convenient? Adorn your house with our graceful assortment and you will see that your home windows and doors have never looked so appealing. 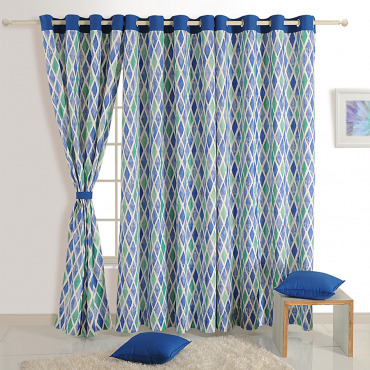 As you enliven your rooms with our pocket friendly, refreshingly designed printed curtain, get matching tie-ups for each curtain separately! Buff up and say yes to good living.